plutonium device called the “Gadget” is detonated. Ushering in the Nuclear Age, the device is an equivalent to 20 kilotons of TNT, and the shock wave was felt up to 100 miles away. 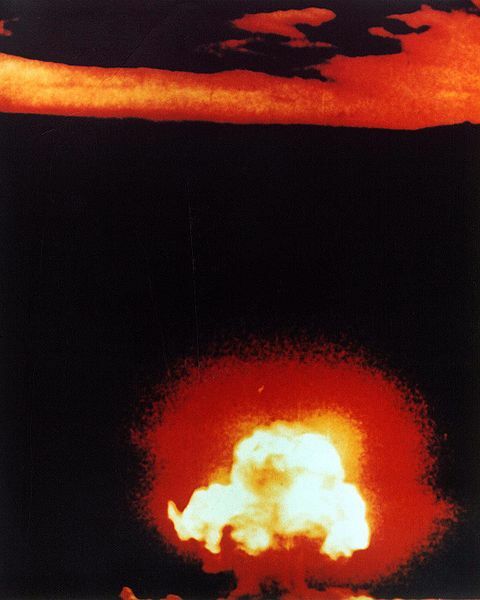 The mushroom cloud reached a height of more than 7 miles. The crater of radioactive glass, called Trinitite, was 10′ deep X 1000′ wide. All who laid eyes on the monstrosity reported that the blast turned night into day. After the Nuclear bombing of Hiroshima and Nagasaki a short time later, humanity was forever changed. For the first time, we as a species were capable of suicide, capable of the extinction of the Human Race. 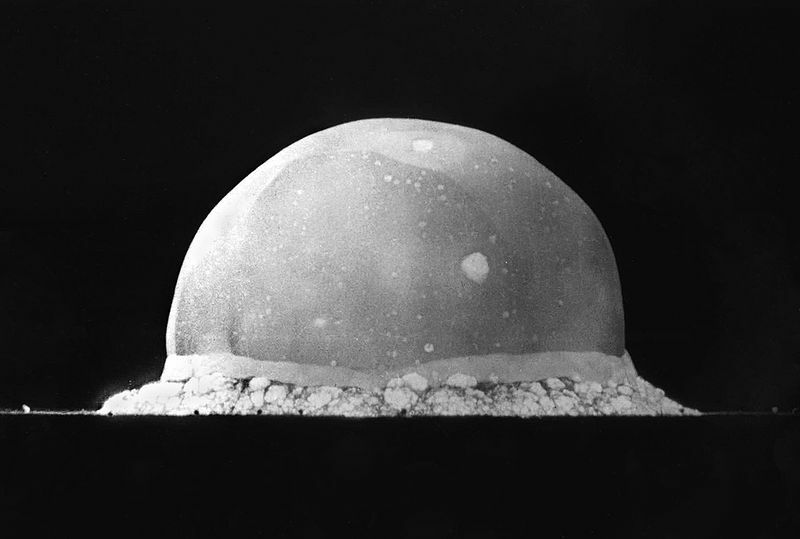 Currently, The Doomsday Clock, created and maintained by the Bulletin of Atomic Scientists, now stands at 11:54, 6 minutes to midnight, and the fall of Mankind. However, remember this: Nature Laughs Last. This entry was posted on July by Dawn Runs Amok. It was filed under Hoi Polloi—Protest and Dissent .